Are you tired of hearing that one type of fat burner works one way, something else works another and believing you need several products to reach your goals? How would you like an all in one solution? It's here! If you want to know how for certain that you're using the most effective thermogenic fat burning product available today, look at our label. Compare over 30 different ingredients to the competition who only offer a handful at a time. 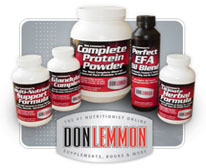 Don Lemmon's Know How has blown away everyone in the fitness market, including the illegal drug suppliers, because we offer the best of the best and refuse to lie about what works. Our products have done the impossible; recreated the wheel. Time and time again we've proven in not only scientific settings but by using real people (500 different real people in this case) that this particular fat burner not only significantly increases your BMR (basal metabolic rate) but keeps it up for as long as you use it. This Metabolic Prescription is an exclusive formula not available anywhere else and it is so effective, it allows you to actually feel the thermogenic process happening right inside of you on a daily basis. You will not only begin burning body fat and keep burning body fat virtually one capsule at a time, but the results will be undeniable that you have found something that is unlike anything else you have ever used. The very first day you will feel your core temperature rise which means your body is creating heat (part of the fat burning cycle). You will notice a mental clarity like no other the second day and witness the fat loss within three days of your first bottle. And better yet, our Metabolic Prescription not only doesn't cause the jitters as it increases your energy levels, it in turn increases your deep sleeping patterns and contains no addictive or dangerous ingredients what so ever. And yet there is even more to boast about. Once your metabolism is sped up, not only do you burn body fat but the system also builds more muscle. 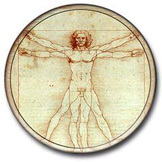 By carrying more muscle, the metabolism remains increased. Its common knowledge that most companies have given up looking for ways to stimulate the metabolism in this manner. We accepted the challenge and anyone else who says they have something close to what we have is lying. Come and meet the man behind all that's seen here. 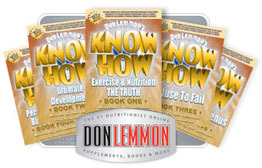 The official message board and forums of Don Lemmon, Inc.
Take a peek at the world of Don Lemmon's novels. Our very own entertainment & lifestyle oriented magazine.